Please note that by booking services with ComFort Tours Cracow S.C. The client is entitled to be treated with courtesy and consideration by all ComFort Tours Cracow S.C. representatives. The client is entitled to receive booking confirmation/information and details regarding the services booked within 48 hours since the booking was made. The client is entitled to change the date/time of any services booked through ComFort Tours Cracow S.C., according to the terms listed in the Cancellation and Change Policy. The client is entitled to seek our assistance regarding lost items. If any items are found by ComFort Tours Cracow S.C. staff our client will be provided with an address where he/she can collect the belongings. The client is obliged to familiarize oneself with the terms & conditions under which ComFort Tours Cracow S.C. services are provided. The client is responsible for providing ComFort Tours Cracow S.C. office with full and accurate address of his/her accommodation. ComFort Tours Cracow S.C.holds no responsibility if the service cannot be provided due to incorrect address details. The client is obliged to print out and keep a carbon copy of the tour voucher and/or the booking confirmation. The client needs to present the voucher/booking confirmation toComFort Tours Cracow S.C. on the day of the arrival/day of the tour. If the client fails to provide valid tour voucher/booking confirmation, ComFort Tours Cracow S.C. representative has the right to cancel the services, in which case no refund will be given. The client has to be present at the address and time stated on the tour voucher or booking confirmation. It the client does not show up or is more than 10 minutes late, ComFort Tours Cracow S.C.cannot guarantee the service will be provided and reserves the right to cancel the service, in which case no refund will be given. The client is responsible for keeping with him/her a valid identification card/passport/student ID/ and other documents or valuable belongings at all times.ComFort Tours Cracow S.C. holds no responsibility for lost property. All clients are responsible for obtaining necessary travel documents. Non EU passport holders are responsible for checking visa requirements. In case of any problems or delays that might influence the services, the client is obliged to contact ComFort Tours Cracow S.C. office or emergency line immediately. If the service cannot be provided due to any changes or external factors, ComFort Tours Cracow S.C.may cancel the service and no refund will be given. Please keep a carbon copy or a print screen of any email/confirmation regarding any changes or cancellation of your reservation. Cancellation is possible only if the client cancels a reservation through our cancellation form before the arrival/ tour date. Cancellation is always confirmed by e-mail or by phone within 48 hours. If you do not receive cancellation confirmation, please call us on the following number immediately: +48 793 719 827 (monday-sunday 8 00 – 22 00). In the event of cancellation of any service by ComFort Tours Cracow S.C. every effort will be made to find a suitable alternative or, if not alternative is possible, the client shall receive a full refund. ComFort Tours Cracow S.C. representative has the right to remove from a service participants who are ill, intoxicated or abusive towards other participants. All costs incurred as a result of a removal from a service will be borne solely by the participant. Changes made 96 hours or more before your scheduled arrival date are subject to NO penalty. Cancellations made 96 hours or more before your scheduled arrival date are subject to NO penalty. Cancellations or changes made 96 hours or less before your scheduled arrival date are subject to a 1 Night Room price penalty. Changes made 14 days or more before your scheduled arrival date are subject to NO penalty. Cancellations made 14 days or more before your scheduled arrival date are subject to a 20% penalty fee of the total cost. Cancellations made 7 days or more before your scheduled arrival date are subject to a 40% penalty fee of the total cost. Cancellations or changes made less than 7 days before your scheduled arrival date are subject to a 50% penalty fee of the total cost (The minimum fee being the cost of a two night stay). Changes made 10 days or more before your arrival or tour date are subject to NO penalty. If after a change a difference in price of the tour ticket occurs it must be covered by the client. Cancellations made within 24 hours after placing the booking are subject to NO penalty (does not apply if the booking is made 48 hours or less from the date of the tour). Cancellations made 30 days or more before your arrival or tour date are subject to NO penalty. Cancellations made 10 days or more before your arrival or tour date are subject to GBP 5 penalty per ticket. Cancellations or changes made 96 hours or more before your arrival or tour date are subject to GBP 9 penalty per ticket. In all other cases cancellations or changes are subject to FULL price penalty. In case of any penalties your card will be charged with appropriate amount. PLEASE NOTE: If you fail to provide the address and the name of your hotel/accommodation in Krakow before the last working day preceeding the tour date, the tour will not be organised and no refund will be given. Changes made 30 days or more before your arrival or tour date are subject to NO penalty, as long as a private guide is available. Please note: Private Auschwitz Tour (with a private guide) is non-refundable due to a new policy of the Auschwitz Museum regarding the rules of booking guided tours. We therefore require a full payment for the tour to be made 30 days before the tour date at the latest. If no full payment is made, we cannot guarantee availability of a private guide. Cancellations made within 24 hours after placing the booking are subject to NO penalty. Cancellations made 96 hours or more before your transfer date are subject to a 5 GBP penalty per person. Cancellations made 96 hours or less before your transfer date are subject to a FULL price penalty. PLEASE NOTE: If you fail to provide your flight details before the last working day preceeding the arrival date, the transfers will not be organised and no refunds will be given. Package is a collection of services booked at the same time by one customer. Customer has the possibility to add or remove each service in the basket. Please note that each service that we offer has a separate price and can be booked separately. If you cancel a package all above mentioned cancellation fees apply. If you cancel one of the services provided in a package, the price for the rest of services will be recalculated. If after a change a difference in price occurs it must be covered by the client. Train and Bus tickets are non-refundable. In all cases cancellations or changes are subject to FULL price penalty. For booking made more than 30 days in advance, tickets are sent by email 30 days before journey date, provided it is a working day. ComFort Tours Cracow S.C. holds no responsibility for changes in the train schedule, train delays or lost property. ComFort Tours Cracow S.C.is bound to inform the passenger of any changes of more than 20 min in the schedule prior to sending the tickets by email. In case of a change in the train schedule we contact a customer by email to suggest new travel options. Unless we hear from a customer 3 days prior to the journey date, we send a train ticket for the next/earlier available train of the same type, provided that the new departure time is no more than 2 hrs earlier/later. In case the train is more than 2 hrs earlier/later and we do not hear from the customer 3 days prior to the journey date, we will issue a refund for the given ticket excluding 10 GBP fee for processing the booking. It is your responsibility to check whether the ticket is correct and whether you have appropriate programs to view the e-ticket. You must travel wholly between the origin and destination, on the date and at the time(s) in your booking confirmation. If you start, break and resume, or end your journey at any intermediate station you will need to buy a new rail ticket for the entire journey made. We do not guarantee the delivery of the tickets and confirmation of the bookings made 48h before the requested journey date. The above mentioned cancellation and change charges apply unless other terms have been introduced in the booking confirmation. Please note: In case of any penalties your card will be charged with appropriate amount. If we are unable to make a requested change and you do not wish to continue with the booking then our cancellation charges as detailed above apply. In the event of cancellation of any service by ComFort Tours Cracow S.C. every effort is made to find a suitable alternative. If no suitable alternative is possible, the client shall receive full refund. REFUND POLICY: in case of hotel room cancellation by our client the refund is due to be made within 7 working days directly to the card with which the payment was made. If the currency exchange rate of Great Britain Pound Sterling (GBP) or Euro (EUR) goes up in value against Polish Zloty (PLN) the value loss of PLN will be deducted from the amount of the refund. We will refer to the exchange rates published by the Bank of England on the day of your booking and on the day when we receive your cancellation request. The currencies in which we charge for holidays is the Pound Sterling or Euro. We reserve the right to revise prices for new bookings in the event of any change. Applies for groups of 10 and more: If you book your holidays more than 10 weeks before your arrival date you can pay the deposit of 35% to confirm your booking. Please note that if you make a full payment for your holidays,ComFort Tours Cracow S.C. takes the risk for any exchange rate changes between the currency you pay and Polish Zloty (in which we pay for all services in Poland). The price we confirm at the time of booking (full payment completed) is the price you pay. If you make a deposit payment we reserve the right to revise the amount of your balance payment in case of a significant change (3% or more) between the exchange rate of the currency you pay in and Polish Zloty. If you book only tours and transfers you can pay the balance locally to ComFort Tours Cracow S.C. representative (driver/guide) on the day of the tour/transfer. The service needs to be paid upfront. The balance needs to be paid in CASH in Polish zlotys (PLN). Please note the driver gives NO CHANGE. Exact amount to pay locally for each tour/service will be stated in the booking confirmation/ on the tour voucher. The VOUCHER(s) with all details will be sent to you BY E-MAIL 3 days before your arrival date. Please note that some hotels/aparthotels may introduce local taxes ( e.g. climate fee). The client is responsible for covering any additional charges resulting from local taxes directly at the hotel/aparthotel. These Booking Conditions and the Booking Confirmation are the basis of the contract between the client and ComFort Tours Cracow S.C.who is acting as a principal business and is responsible for arranging and providing all services. We hold a public liability insurance. All accommodation and services offered are subject to availability. In the event your requirements cannot be met due to lack of availability of service on the requested dates, we reserve the right to offer similar services or services on alternative dates. In case of a price difference it would be covered by the customer if all other conditions are accepted. In the event of lack of availability on the requested dates, we will offer you an alternative accommodation. Within 48 hours we will send you all the details of your holiday and will wait for another 48 hours for your confirmation. After we receive the payment we will send you a booking confirmation with unique reservation number and a hotel voucher. In the event of lack of availability on the requested dates we will offer you an alternative accommodation. Within 48 hours we will send you all the details of your holiday and will wait for another 48 hours for your confirmation. We reserve the right to change plans of our excursions due to weather, availability of attractions, road work or other circumstances beyond our control. FLIGHTS: We do not sell packages with flights, we only suggest the best flight fares. TOURS: If you book a few services we offer discount prices for the tours and transfers. Unless you book a 1-night accommodation, we reserve the right to choose the tour dates according to availability. If you have any preferences regarding the tour dates, you may contact ComFort consultant, however, we cannot guarantee that the tour will be arranged on the preferred date. PRIVATE GUIDE: Please note that private guide is subject to availability. 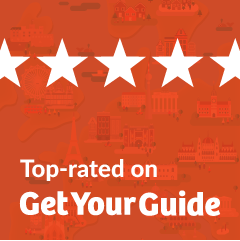 In case the guide is not available you will be refunded the additional cost of the private guide and you will be taken on a standard group tour. PICK UP ADDRESS: If you fail to provide the address and the name of your hotel in Krakow before the last working day preceeding the tour date the tour will not be organised and no refund will be given. INSURANCE: It is a requirement that all ComFort Tours Cracow travellers have comprehensive travel insurance. ComFort Tours Cracow S.C. is not responsible for any injuries, damages or lost property. AIRPORT TRANSFERS: Upon arrival at the Airport our driver will be waiting for you in the arrival hall holding a signboard with your name on it. You will then be escorted to the vehicle and transferred to your accommodation. The driver waits up to 30 minutes starting from the arrival time indicated in your reservation. In case of earlier arrival, please wait for our driver at the Airport’s information desk. If the flight is delayed or redirected to another airport please inform us in advance. ComFort Tours Cracow S.C. is not responsible for any consequences resulting from changes in the flight schedule, flight delays and flight cancellations. It is the responsibility of the client to provide us with the exact flight details including flight dates, flight numbers as well as arrival and departure time and contact us in advance should any changes occur. AIRPORT TRANSFERS: If you book a transfer for 4 people we may send a standard size car, so if you have more than one bag per person please book a transfer for more people. ComFort Tours Cracow dedicated to ensuring that your holiday is arranged as described in our offer. If you have a complaint about your holiday whilst travelling with us and you cannot solve it directly with the accommodation, attraction or transport supplier, please bring it to our immediate attention by phoning our 12h emergency line +48 793 719 827. Liability cannot be accepted if you do not notify ComFort Tours Cracow and your consumer rights to compensation may be affected. If after the holiday you are still dissatisfied, please send us your complaint in writing to fortdamian22@gmail.com as well as to our postal address within 28 days of commencing your holiday. We will then follow up your complaint and respond accordingly. If a part of your holiday is not provided as promised, we shall pay compensation appropriate to the circumstances, provided that you have filed a complaint with us at the time of occurrence and we receive a written statement from you with all facts listed. Partial compensation for provided tour services is also limited if the reason for partial alteration of the tour is out of our control due to bad weather conditions (very high or low temperatures, strong wind or other); or if a decision to limit the access to some parts of the museum/attraction or limit the time you may spend at the museum/attraction was made by the appropriate authorities of the museum/attraction. Compensation is limited to the cost of the service concerned. In so far as may be permitted by law, no responsibility will be accepted by ComFort Tours Cracow S.C., service providers, or any of their agents for any injury, accident or damage to persons or property, loss or theft.